I’ve added a linux build out of request. I don’t have a Linux setup myself so can’t test it though. If anyone can test and report back would be delighted. I believe that writing a post mortem is always a good thing after LD. Makes you think why stuff happened the way they happened. I was about to skip this LD, because I have so much on my hands right now. The company I worked for went bankrupt a month ago and I’m currently looking for a new job as a programmer. I’m also trying to catch up my c++ skills because I’ve been using Unity at my previous work and most of the biggest company here in Finland requires strong c++ skills. So, I thought a week before the LD to do something with c++ for the LD. Well, a week went quite quickly and when the theme was announced I was nowhere near ready to do anything in 48 hours in c++, sadly. So, I decided that LD would be a little fun break and I’d do it with Unity instead. First thing that I did with the theme was to check out the background of the word ‘second’. I found out that ‘second’ comes from latin word ‘secundus’, which means “following” and an idea of 10 guys “following” each other popped into my head. 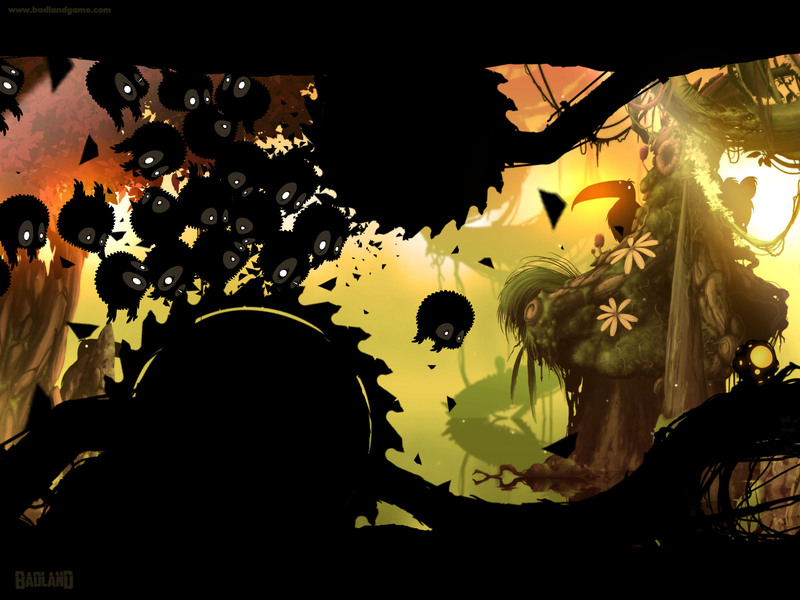 I remembered a moment in Badland where you take a power-up and your character splits into tens of small versions of yourself and you need to guide them all. I wanted to achieve the same chaotic but fun feeling that they had. At the same time I had a little brainstorming with my friend, because I was not comfortable with settling on the first idea that came to my mind, and we came up with an idea of a “10 second boxing match”. The idea was that it would be first-person turn-based boxing with two players. You’d need to control your hand’s joints by adding forces to them and then you would see one second forward to the match and do the same things again. Match would go on until one of you hits the other in the head and knocks him out or ten seconds(ten turns) runs out. The idea sounded hilarious and I decided that I would make a quick prototype out of it to test it out. You can test the prototype here. Click on limbs to select them and then use mouse wheel up and down to turn them. Even though the proto seemed potentially funny, I decided to go with the first idea. I came up with an idea of 10 characters following each other, these characters ended up being little robots that were “on training” to be part of some kind of police forces. To create some chaos into it, I wanted some delay in the commands that player gives to the robots, so that each robot would not jump when you pressed the jump button. So, I came up with an idea of one of the robots carrying a “transmitter” and all the other robots would get the command from player input based on the distance they are from that transmitter. End result was as chaotic as I assumed. There’s some traps scattered around the levels and each trap is activated by a button that is placed somewhere near the trap. A friend of mine who lives 4 hours away from me was visiting me during sunday so I pretty much lost one day of work and ended up running out of time in the end. I had time to prototype another idea before settling on one. I had fun doing the game. Basic gameplay is fun and little robots turned out to look funny when running and jumping around the levels. Gameplay has no room for skill and is pretty much based on luck. I ran out of time and most of the objects were untextured and ended up having just one color diffuse. Didn’t have time to create as many traps as I was planning. Didn’t have time to create as many levels as I was planning. No sounds or music either. I would’ve wanted to highlight the traps and the relation between a button and a trap better but didn’t have time for it. The game didn’t end up being anything particularly awesome, but I had fun for the weekend. And that’s the most important thing right? RTS is one of my favorite genres, but I’m thinking I’m gonna try to mix it a bit and not do the most basic RTS game. Probably there’s going to be pixelated robots, a lot of them. And some upgrading and some minimal resource gathering, but no base building. I only have a vague idea so can’t really go into detail yet. Although its a normal working week for me, I think I’m gonna make the game finished enough because it’s 7 days and not 48h. This is my first Mini-LD. This was my first Ludum Dare and I’m pretty happy with the end result. Even though it was a bumpy road. After the first ~35 hours, I realized that my game-idea was dull and needed way more work that I could’ve been able to do in the remaining time. So I kinda lost motivation and died inside. I decided that I was gonna skip the submitting and just play games you guys created. But after couple of hours of hard self-evaluation, I decided to try one more time. I had already finished a randomly generating dungeon algorithm and the arts for it. And thought I’d build something simple around that. That’s when I got the idea of “Dusty Balls” ;). In Dusty Balls, player tries to move as many balls through the underground temple dungeons without hitting any hazards on the way. As the game progresses, dungeons get longer( and spikier ) but most importantly the amount of balls you have to control at the same time, increases. I’m pretty happy the way I got the controls done, they feel very intuitive. I’m totally gonna try and find time to participate to Ludum Dare in the future, I really like the atmosphere you guys have in your community. Thanks guys, and let the fun begin. This is my first try at Ludum Dare. Really thrilled and can’t wait for the weekend.